Happy Wednesday, friends! 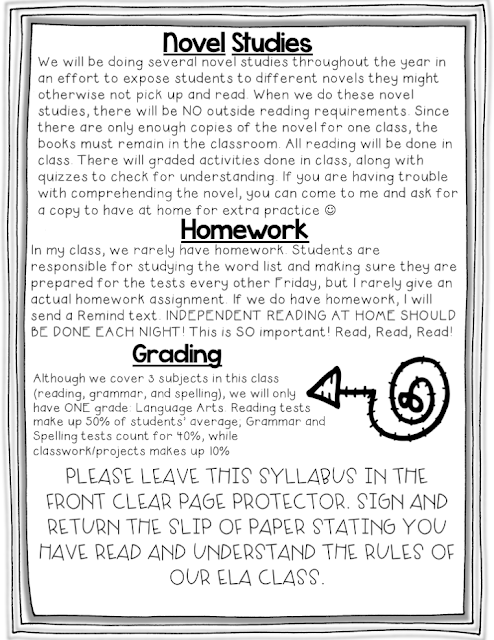 I asked earlier if y'all wanted to see what my syllabus that I give out at the beginning of the school year looks like and y'all did, so here it is! Now, I didn't make an editable template for y'all, because everyone's class is set up differently, so I didn't think it would work for anyone. I'm just posting this so you can get an idea of what mine looks like and what I put in it. We go over this syllabus on the very first day. I have the kids take it home and their parents/guardians have to read it and sign off that they have read it and understand it. I collect those slips and keep them all year. 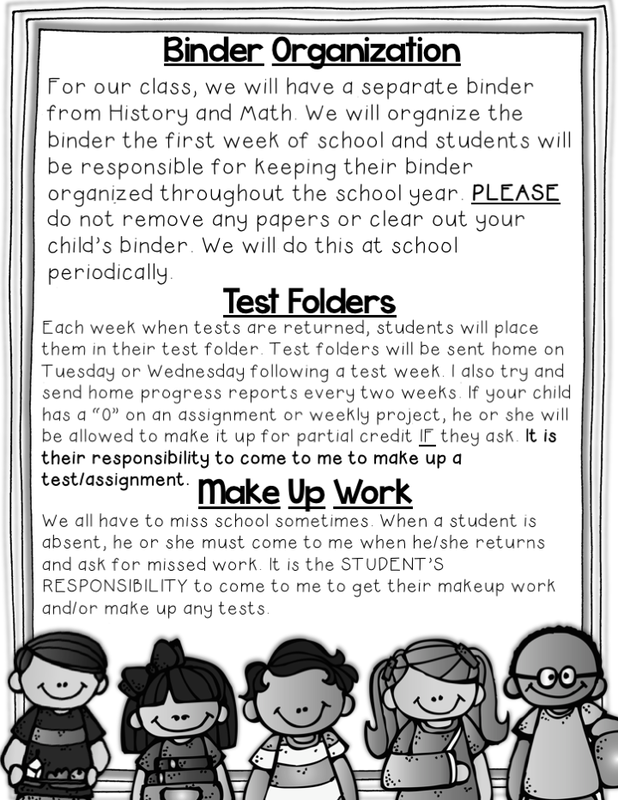 I make the students leave this syllabus in the very front of their binder in a clear page protector. This way, if anything comes up throughout the year, I can refer back to the syllabus. Great, thanks for sharing! And yes, please post what else you do during the first days of school. Thanks! 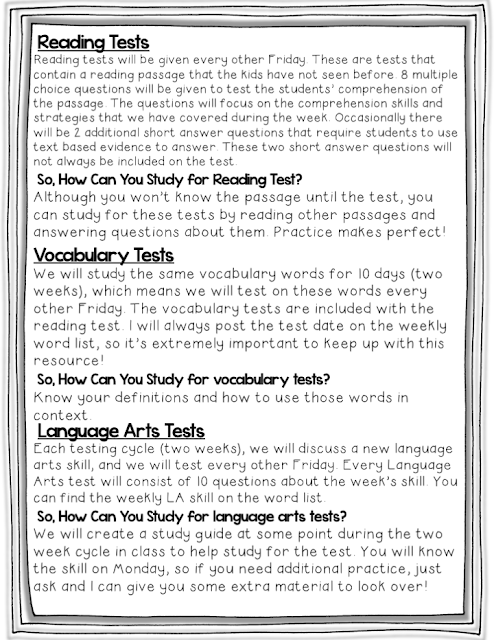 You share more about the weekly reading respond letters and the criteria? 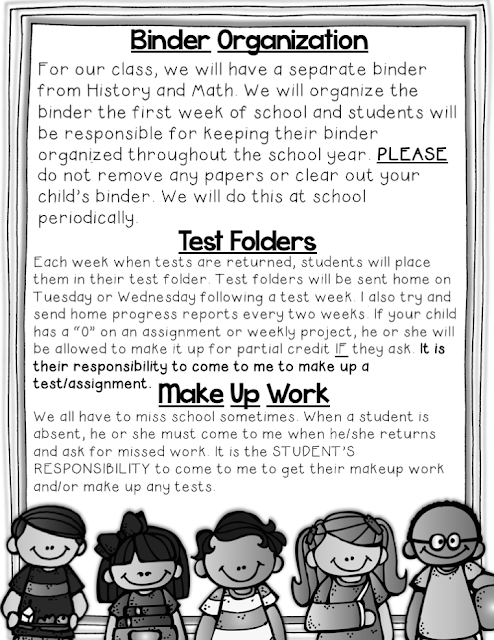 Yes, I'd love to hear about the first few days of school! This syllabus is fantastic. Is it in your TPT store or is there a way to get it in PDF or word. It comes sooo close to the set up of my readings block. I would love a copy as well!! 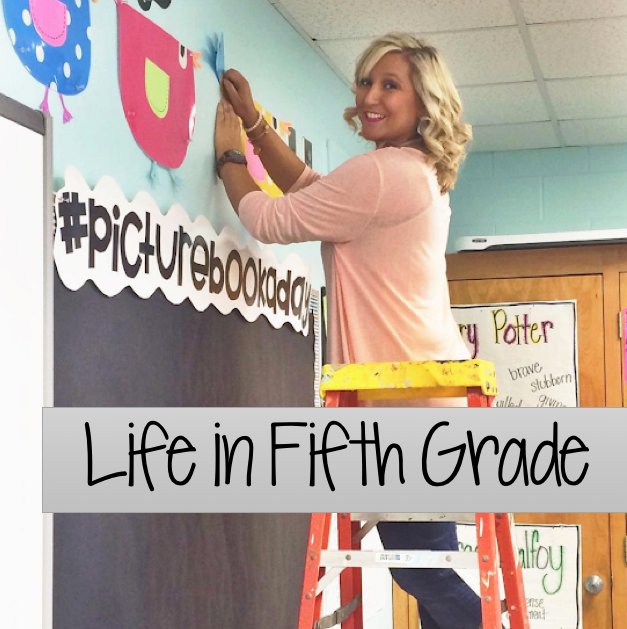 I teach just ELA and this is so wonderful!! Thanks for sharing! 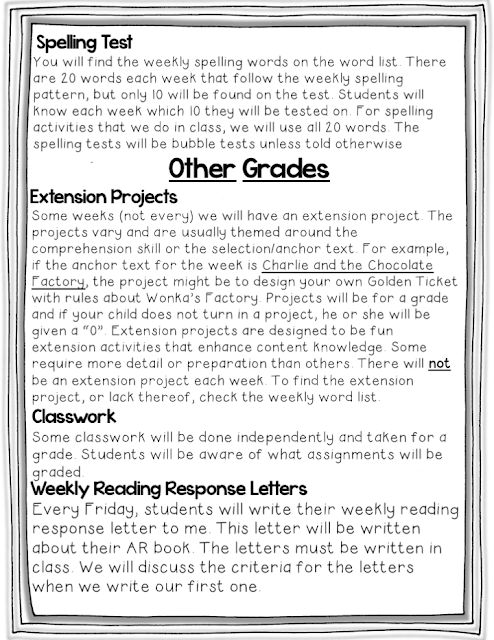 What resource do you use for your spelling and vocabulary words? I desperately need a spelling program that works! Thank you for sharing! Could you post about what a day in your room looks like? How often you do a novel study? 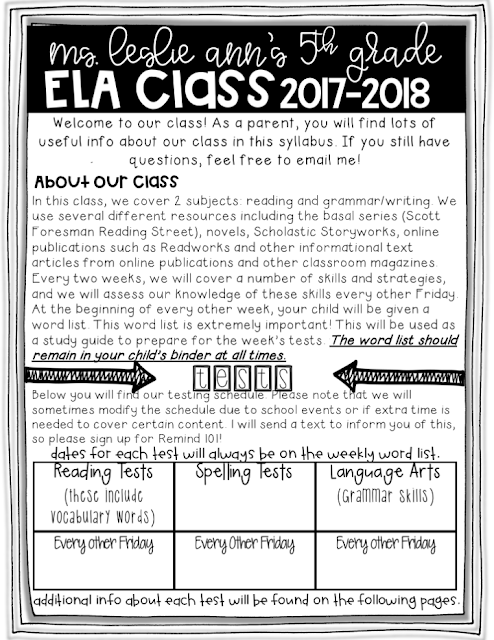 I am moving to a 90 minute ELA block and am looking to find the best ways to structure this! I love this! Question for ya...what do you use as your spelling curriculum? Where do you choose your words from? Do you have any spelling products in your tpt store? 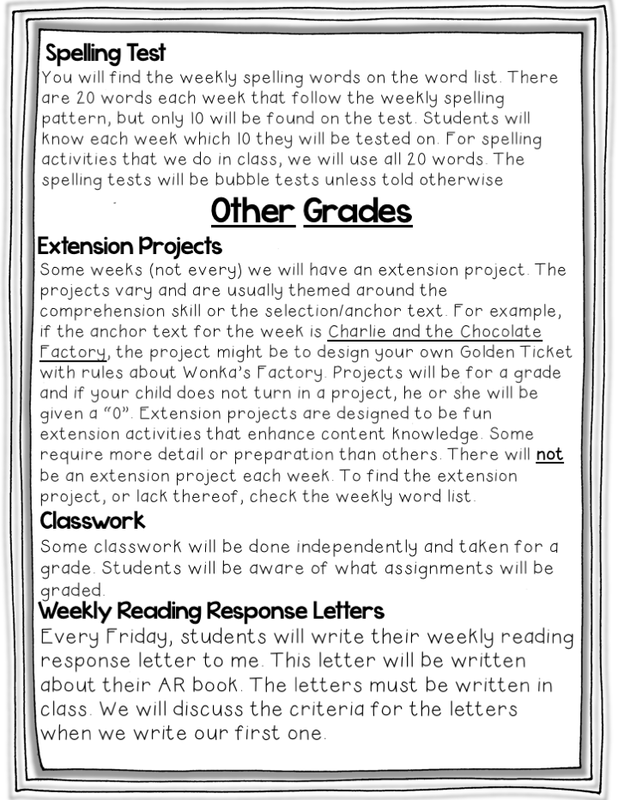 Could you share the format you use for the weekly reading response letter of the week? I am assuming they will respond to their independent reading using the comprehension skill of the week somehow? Can't wait to see a letter of the week! I would love to know what you use for your comprehension quizzes every other Friday. 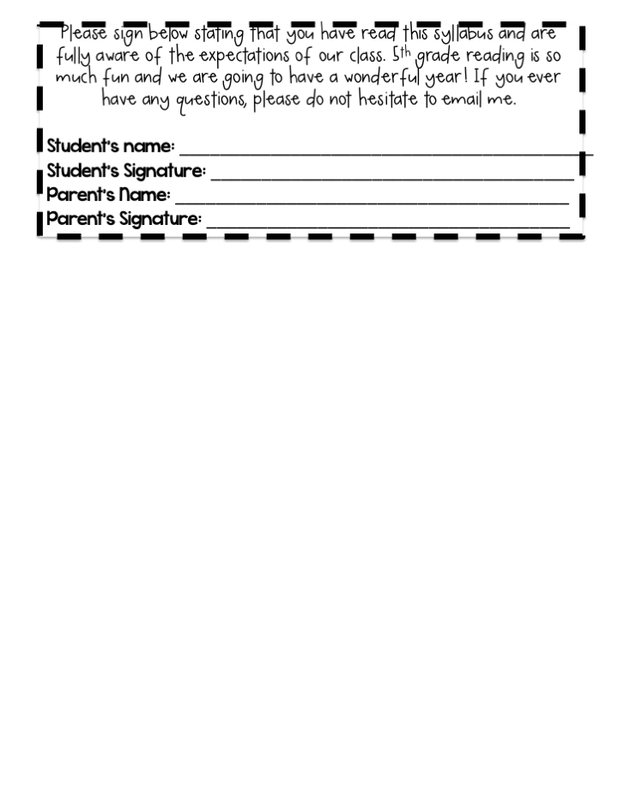 Was wondering if you have a template that you might share of the syllabus tjat we may edit. This is my first year teacher just mm m mot sure 1st grade or 5th grade. Yes, please share any ideas you have. I've been teaching 29 years, and I NEED fresh ideas every year!!! Would it be possible to share the file? This syllabus is amazing. You should definitely make this an editable template. 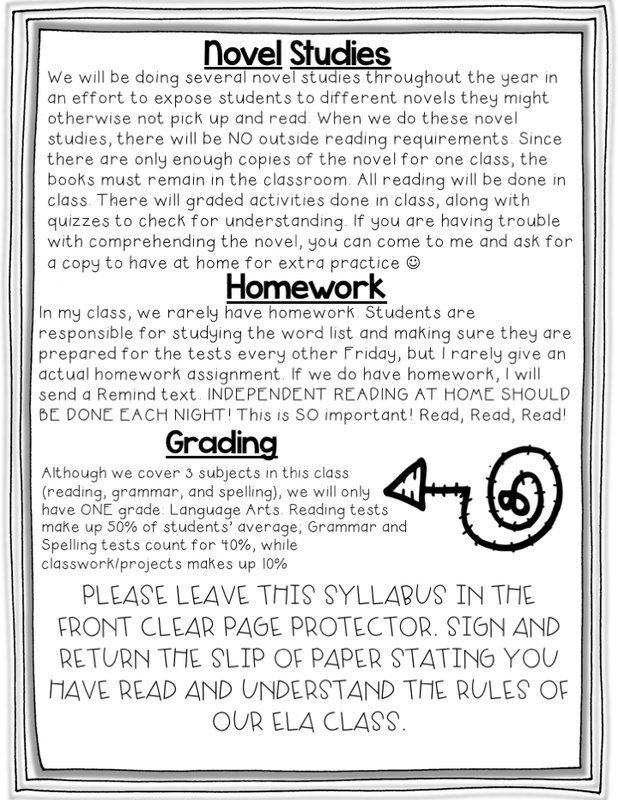 I know each teacher is different, but this is similar to what I do, and this syllabus is beautiful and I'd love to use it!